Read Forex.com review, rating and detail information for their services below. Forex.com founded in 1999 as a part of GAIN Capital. Forex.com is a Subsidiary of City Index Group. Forex.com operates in multiple countries with licenses under major regulatory board. They mainly operate from US, UK, Canada, Japan, Australia and currently has affiliates and partners in over 140 countries. Forex.com is currently one of the biggest online brokers who is controlling US online retail trading market. They are also the biggest competitor of FXCM for dominating the US Market. FOREX.com is regulated by the Financial Conduct Authority (FCA) in United Kingdom. In addition, they are regulated in seven other jurisdictions around the world. In United States, it is regulated by the Commodity Futures Trading Commission (CFTC) and the National Futures Association (NFA). Furthermore, it is regulated by below regulatory boards. Investment Industry Regulatory Organization of Canada (IIROC). For the approval of this many strong regulatory board make forex.com a reliable broker. 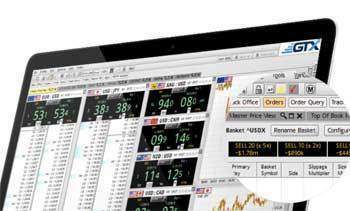 FOREX.com provides MetaTrader 4 platform developed by MetaQuotes Software. FOREX.com’s MetaTrader provide automated trading facility and customized with many features and tools which includes more than 30 types of CFDs and 45 forex markets. They also offer iOS and Android mobile trading applications for its MetaTrader platforms. The app is free and can be downloaded from Google PlayStore and Apple App Store. FOREX.com provide web-based trading platform “FOREXTrader PRO”. This software includes pattern recognition software, signal, advanced charting package and 139 indicators. Technical Analysis tools are available in the desktop version of FOREXTrader including automated technical analysis from AutoChartist. In 2017, FOREX.com replaced its web-based platform with a new platform called Web Trading. This platform runs on HTML5 and provides a smooth experience for their users. Furthermore, FOREX.com provides GAIN Capital’s GTX Direct platform. This requires a minimum deposit of $100,000 for ECN access and provides a tighter spread. This platform is mostly used by retail investors. FOREX.com does not charge any commission for their services. Rather than that FOREX.com earn by adding a spread on the top of the prices that traders get from the market. The spread varies in 5 different level defined by FOREX.com. For level one and level two pricing starts from $25 million to $49 million in month-to-date (MTD) for that clients need to pay 1.3 pips on the EUR/USD. Level 3 starts from $100,000 balance and level 4 starts for clients with an MTD volume of over $150 million up to $499 million. Level 3 and 4 spreads on the EUR/USD fall is 0.90 pips. Finally, level five brings spreads is 0.84 pips for traders who cross $500 million in MTD volume. 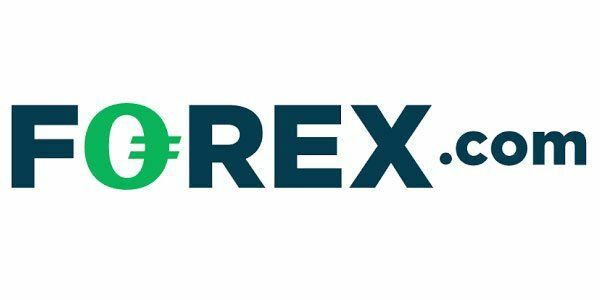 FOREX.com Supports Credit Card, Debit Card, Wire Transfer for deposits and withdrawal. Traders can have wired minimum transaction of $250 and a maximum transaction of $10,000. Customer support at FOREX.com is available 24/7. There are several ways which you can get in touch with the support team such as email, telephone and live chat. Trade orders by telephone are accepted by FOREX.com UK during market hours. For trading accounts, FOREX.com has two main types of accounts. For the standard accounts, there is no commission from broker’s side. Standard account account required $500 deposit. While, to open a Premium account traders need to deposit $25,000. Spread is very low for Premium Account type. very low spread. Spread are starting from 0.2 pip. Forex.com is a reputable forex broker with strong regulation from several countries. They provide their services from last 19 years and proven themselves as dependable and reliable forex broker. Other than that, they have a decent product selection and a nice informative, responsive website. So, from our side we are recommending them as a good and dependable broker.